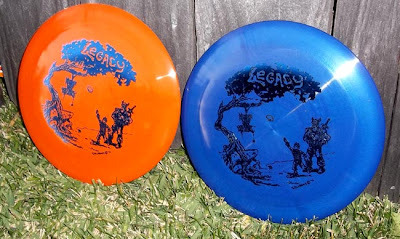 Bamba Rico was the person who got the whole ball rolling for me doing Disc Golf artwork, so I was very excited when he started talking about him and Steve producing their own line of discs. They are not quite ready to introduce graphics to their line up yet, but I was inspired. Bamba agreed to a special edition of Legacy discs stamped with my design to be available only through me. 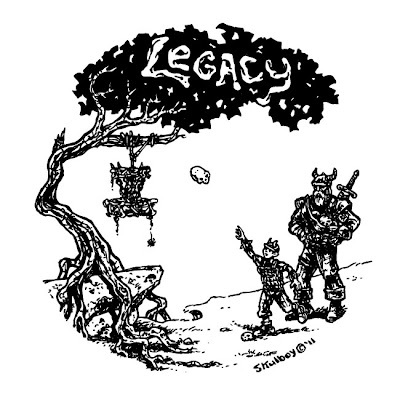 Still fine tuning the hot stamping, but here's a sneak peak at some Legacy Cannons.